It's been an exciting month for Bijou Basin Ranch. First, we released three new Outlander-inspired project kits (to join the three which came out in March); since our last blog post, we've welcomed the Inverness Shrug by Stefanie Goodwin Ritter (below left) and the Celtic Forest Pullover by Therese Chynoweth (below right) to the Outlandish Project Kit family. 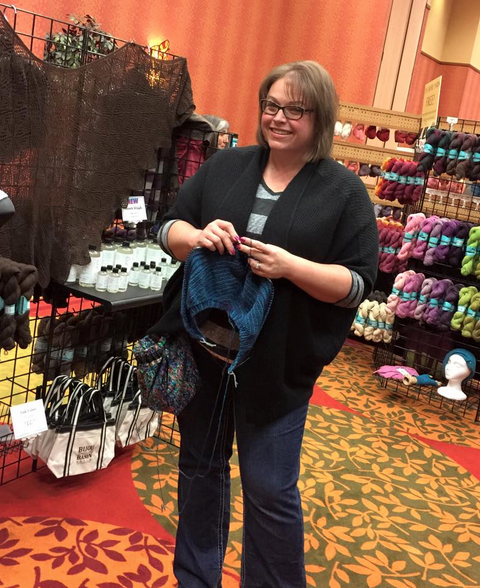 We also attended two incredible events: YarnCon in Chicago, IL and the Interweave YarnFest in Loveland, CO! Marly Bird knitting in the BBR booth at Interweave Yarn Fest. Aerial View of the BBR booth at Yarncon. 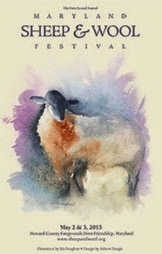 Our next event will be May 2-3 when we return to the Maryland Sheep & Wool Festival - click here for our 2015 show schedule so you don't miss an appearance. 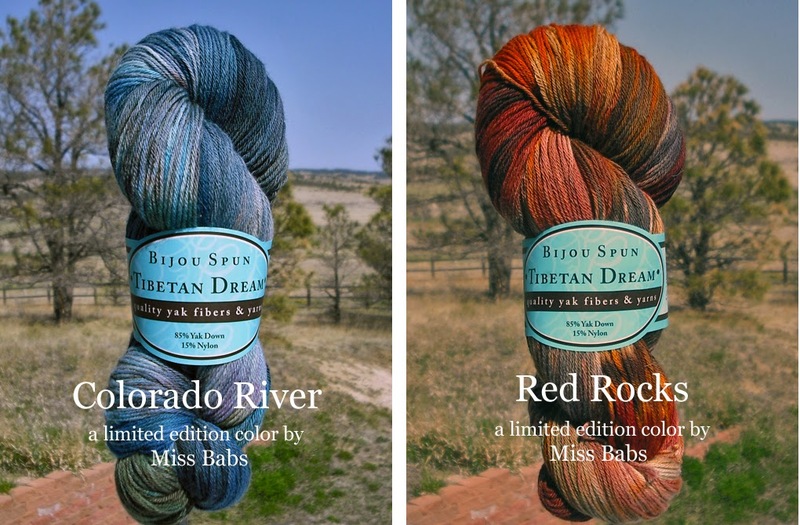 As if all of the above weren't enough, we just added two exciting new limited-edition colorways of Tibetan Dream yarn, hand-dyed by the folks at Miss Babs, to our online store! We have a truly limited number of skeins up for grabs, and once they're gone, they're gone. Click here to snap up yours today!